In the crazy fast paced world that we all reside in, we are “too busy” all the time. We are often so busy making a living that we forget to live, and we often forget about the wonderful people that make up the communities in which we live. Justin and Tara Zinzow in their “busy” lives realized this and wanted to do something to slow down a bit and bring back a sense of community. Their vision entailed uniting a collective group of friends, neighbors and like-minded business leaders for events that were not only fun, but that support local non-profit organizations. From this vision the Zinzow Law Foundation was formed. 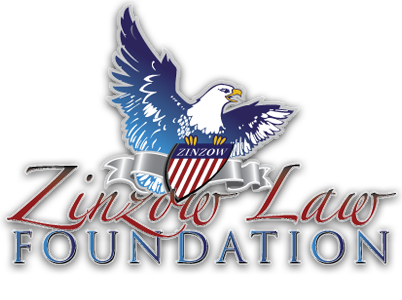 The Zinzow Law Foundation makes it possible for local non-profit organizations to access the funding, tools, and support they need to become more effective and to improve the quality of services in our communities. The Foundation also makes it possible for community members, business leaders, and neighbors to get together under the mantle of fun and warm their hearts by giving back to those in need. The Foundation is a registered 501(c)(3) tax exempt organization. 100% of all proceeds of every event are given directly to the supported 501(c)(3) charities. We are an all-volunteer organization and no salaries are paid to any volunteer at any time. We hope you will become a friend of The Zinzow Law Foundation and join us for an upcoming event. Looking for more information or want to find out how you can get involved? Perfect! Contact us today!